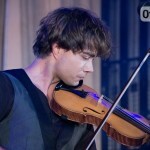 A little shy “cat”, who flirts with the audience and jokes, classical violin virtuoso, producer, who worries about his “child” – the group of Milki … That’s how the townspeople saw Alexander Rybak during his performance in Grodno. 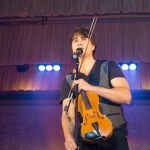 The concerts, which took place last week in Hrodna and Baranavichy, became a sort of musician return to Belarus. He came back with new songs, the ideas and the group. 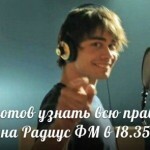 – Alexander, you are happy with the concerts in Belarus, in particular, “Milki”? – What’s in the future plans of the band? – Two new songs and a new clip. The video will be released soon. I write songs to girls in collaboration with Byelorussia sociology Rakitin. – And your personal creative plans? How was this year? – During the year, I did a Russian show “as is” engaged with young talent, writing new songs, released a new single, Russian “Kitten.” He has more than 6.5 million views on youtube. There will be new songs and concerts. Today I think most about the book that he wrote. It is called “Troll and magic violin.” This children’s story, and it is very well received in Scandinavia. – No you are going to translate it into Russian? – The book is in Norwegian, but we have already signed a contract for its publication in English and Danish. Attached to the printed edition and audiobook on three discs with the songs. This is a major project and the songs performed by well-known Norwegian actors and musicians. In Belarus, the book is only at my manager Andrew Guzel, and now we are negotiating with them about how to release it on his tongue. I’m really looking forward to it! – Provide you with no hard violin. Your expensive tool? – My violin is inexpensive compared with other legendary violins. But I chose the best for me: it is very romantic sound, and I like romance. – Where’s your first violin – kept home as a memory? – No, I gave her a long time. I do not like to collect things. Then it will be difficult to part with them. – From the wall at a concert in Grodno, you said that simple. Do you have a quick way to cure the common cold? – There! Not to speak the whole day to the throat feel better. Unfortunately, I have rarely the opportunity. But I’m not complaining. For such a cool crowd, like you, I am pleased to Pobol. – How do you plan to celebrate Christmas and New Year? – By tradition, every Christmas I spend with his family in Norway. For me it is very important! We have a great holiday. And on New Year’s Eve I was always somewhere to invite as an artist. Who knows, maybe this time be invited to Belarus. 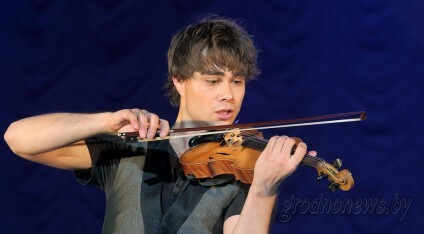 Milki Group was created out of the girls passed casting Alexander Rybak year ago specifically for participation in “Eurovision”. However, the competition jury’s decisions drove the duo Yuzari and Maymunah. It seemed that the group is doomed to decay. But Fisher still decided to continue to work with the girls. However, for the year they become less – left one participant, preferred a solo career. Under today grodnenka Nazarushku Victoria and Tatiana Stakhovskaya, Taisa Serikov, Marina Putnikovo. How to tell Victoria, yet this year has been quite busy for them: played at concerts in Minsk and other cities, protesters were “We – together!”, Removed the clip and with Larissa Gribaleva launched a duet song “Red Rose”.